Hey, here I am, still alive. Yet another mobile upload. I’m scared my lovely Macbook Pro is dying. The screen just went black 5 minutes after starting up. It happened twice. And I’m scared to start it up again. This week I’m definetly trying again. I’ll have to face it. 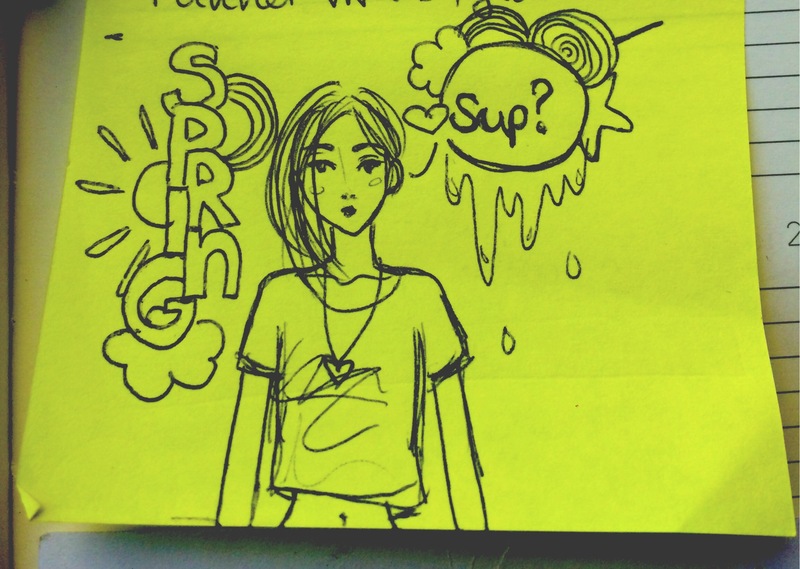 So here’s a post it doodle!